July soybeans closed at USD10.25 1/2, up 13 cents; July soybean meal closed at USD314.10, up USD3.70; July soybean oil closed at 37.38, up 52 points. Today's USDA report lowered 2009/10 ending stocks by 10 million bushels from the June report and left 2010/11 the same at 360 million bushels. World 2010/11 soybean ending stocks were increased to 67.76 MMT from 66.99 MMT. Weekly export sales were in line with expectations at 864,873 MT. China took most of that and also bought another 120,000 MT of soybeans for 2010/11 the USDA confirmed today. July corn closed at USD3.75 1/4, down 2 1/4 cents; Dec Corn closed at USD3.95 1/4, down 1 cent. the USDA estimated 2009/10 ending stocks at 1.478 billion and 2010/11 stocks at 1.373 billion in today's report, slightly above the average trade guesses. World 2010/11 corn ending stocks were cut from 147.3 MMT to 141.1 MMT. Export sales were a combined total of 825,953 MT and shipments were 1,030,497 MT. Old crop sales included one cargo to China. July CBOT wheat closed at USD5.23 1/2, down 10 1/2 cents; July KCBT wheat closed at USD5.48 1/4, down 5 3/4 cents; July MGEX wheat closed at USD5.54 1/2, down 8 3/4 cents. The USDA is projecting all wheat production for 2010/11 at 2.216 billion bushels, up 149 million bushels from the June report. The USDA reported weekly export sales of 513,600 MT for wheat, a bit better than the 350-450,000 MT expected. They also cut 2010/11 world wheat ending stocks from 193.9 MMT last month to 187.1 MMT. November London wheat closed a volatile session GBP0.15 higher at GBP119/tonne, with November Paris wheat EUR1.50 lower at EUR161/tonne. London wheat fluctuated from around GBP2/tonne higher early in the day to GBP2/tonne lower by lunchtime, before closing near unchanged levels. The market has risen a lot over the past ten days and was due a bit of consolidation with the USDA due out today. They were eminently predictable in my view, trimming output in Europe, Canada, Russia and Kazakhstan - but erring on the side of caution with most of those cuts. Wheat production in Europe was only cut by just over a million tonnes to 141.82 MMT, whilst Russian production was estimated at 53 MMT. Both of those predictions are probably at least 3 MMT, and possibly as much as 5 MMT overstated. EU grain export licences granted by Brussels for first week of 2010/11 MY were 465,000 MT, up 28 percent on last year. At home the weather outlook remains bullish, with the only rain forecast for the weekend in the relatively wheatless northwest of the country. Daytime temperatures of 30-31C in the south east are only predicted to fall to a very warm 20C tonight. There's no rain on the forecast for the major wheat growing areas in the south and east until next week, and it could well be too late to do much good by then. A pretty predictable set of numbers from the USDA really, it was always going to be highly unlikely that they'd cut global wheat production collectively by as much as individual estimates have been showing. They have a long history of being slow to react to rapidly changing production, whether in the US or abroad, so why should this time be any different. If you want the real production numbers from the USDA then come back in twelve months time, they might be a bit closer by then. In the US, record wheat yields will offset this year's low plantings. Increasing production there and finding a further 2.5 MMT in China helped partially offset reductions in Europe, Russia, Kazakhstan and Canada. Certainly output in the first two mentioned is probably still significantly overestimated at 141.82 MMT and 53 MMT respectively. Overall, when taken at face value, the numbers are mildly bearish. Strong soybean demand from China is underlined by them buying more new crop soybean today, and the news that they imported a record 6.45 MMT in June. They also showed up as buying a cargo of US corn in the weekly export sales report too. Early calls for this afternoon's CBOT session: Corn called 3 to 5 lower; Soybeans called 5 to 7 lower; Wheat called 7 to 10 lower. "still very dry here. Not as warm as I’d expected (high 20s/low 30s) and we had some rain on Monday (when I arrived on farm – I said it was a present from Scotland!) – but not all areas got it & amounts were variable. "SOSR flowering here – but crops are thin & very short (lower than knee-height!). Definitely not going to be a high yielding season – unfortunately." The USDA cut 2010/11 world wheat ending stocks from 193.9 MMT to 187.1 MMT. They cut EU-27 wheat production to 141.8 MMT, Canada to 20.5 MMT and Russia to 53 MMT. None of those were (predictably) by as much as private analysts have been estimating. Chinese wheat production was inexplicably raised by 2.5 MMT to 114.5 MMT. World 2010/11 soybean ending stocks were increased to 67.76 MMT from 66.99 MMT. World 2010/11 corn ending stocks were cut from 147.3 MMT to 141.1 MMT. Chinese corn production was pegged at an unlikely 166 MMT. The USDA reported weekly export sales of 513,600 MT for wheat, a bit better than the 350-450,000 MT expected. Brazil was the biggest buyer taking 85,000 MT. Actual shipments were 557,600 MT. For corn, old crop sales of 501,200 MT for delivery in 2009/10 included 60,600 MT to China. There were also sales of 324,800 MT for delivery in 2010/11. Actual shipments were 1,030,500 MT. Pre-report estimates were for combined net sales of 800-1,100,000 MT. For soybeans, old crop sales of 262,600 MT were almost all for China. There were also sales of 602,300 MT for delivery in 2010/11, which were also mainly for China (360,000 MT). Pre-report estimates were for combined net sales of 500-750,000 MT. Shipments were just 76,000 MT - a marketing-year low. In a separate missive the USDA today announced the sale of 120,000 MT of soybeans to China for 2010/11. China imported a record 6.45 MMT of soybeans in June, according to the Chinese National Grains and Oils Information Centre (CNGOIC). That is a phenomenal amount of soybeans which ever way you look at it. Imports month are expected to fall back a bit for the next few months as their own soybean harvest approaches. Even so at 5 MMT in July, 4.5 MMT in August and 4 MMT in September they're still at historically high levels. Also of note is that the US seems to be getting a larger slice of the cake this year. Normally US sales to China would have dwindled to next to nothing in the summer months as they switch their attention to cheaper South American beans. SovEcon have cut their estimate for this year's Russian grain harvest to 77-81 MMT, according to this article on the excellent Agrimony.com. They say that the wheat crop could fall below 50 MMT this year, with yields on some places coming in at less than a tonne/hectare. The barley crop has also been badly hit, they add. The USDA's take on things later today will be interesting, but somehow I just don't see them downgrading production estimates in Russia, Kazakhstan, Europe and Canada anything like as much as they probably should. I'm hearing reports of UK farmers being offered "silly money" for their standing wheat to make whole crop silage due to a lack of available forage. Reports suggest that the hot and dry weather means that many farmers have only half the hay this year they would normally expect to make. One typical farmer I've heard about has a large and a small silage clamp. Usually the first-cut fills the first, and the second-cut the second. This year he says that both cuts have only just filled the large clamp. Big square bale barley straw is currently fetching GBP50-80/tonne ex-farm, with hay prices reportedly between GBP60-GBP80/tonne ex-farm. The poor old Baltic Dry Index was at it again yesterday, slumping below the 2000 mark to close at 1940. It's now fallen for 30 or more straight sessions, I'm losing count, and more than 50% since late May. One of the reasons being citing for this spectacular decline is more ships coming onto the market that were ordered at the height of the boom. Given that they take two to three years to build, many of these vessels are only now starting to come on stream now. A rapid slump in demand for iron ore from China is also another factor. It's interesting to note that in Egypt's Russian wheat purchase earlier in the week was at USD183.50 plus USD14.75/tonne freight. In it's previous purchase little more than a week earlier freight quotes from Russia in a similar tender were around USD24-25/tonne. Brazilian authorities have ordered the immediate closure of two ports, including Brazil's largest grain terminal Paranagua, on environmental grounds. Paranagua, located in the southern state of Parana, is also Brazil's second largest maritime terminal. The closure has been ordered by the Brazilian Environmental Institute (Ibama), after the management of Paranagua port failed to meet previously agreed environmental commitments, meaning that it doesn't now have a valid operating license. The neighbouring port of Antonina is also affected. In total the two are reported to have 13 vessels berthed, 26 scheduled to berth and a further 45 waiting to enter the ports. No wonder China keep coming back to buy US beans. Meanwhile those front-end soybean premiums look set to remain a while yet. Just imagine if militant Argy dockers decide to sieze upon this as another opportunity to push for more pay too. July soybeans closed at USD10.12 1/2, up 19 1/2 cents; July soybean meal closed at USD310.40, up USD6.40; July soybean oil closed at 36.86, up 5 points. China bought another 116,000 MT of old crop US soybeans today, propelling front-mont beans to close at the highest levels since April 22nd. Analyst's average estimates for Friday's USDA crop production and WASDE report show soybean ending stocks for 2009/10 at 169 million bushels and 2010/11 ending stocks at 366 million bushels. July CBOT corn settled 6 3/4 cents higher at USD3.77 1/2; December corn ended 7 cents higher at USD3.96 1/4 a bushel. Strength of wheat prices spilled over into the corn market. Analyst's estimates for Friday's WASDE report show an average of 1.4 billion bushels for 2009/10 corn ending stocks and 1.301 billion bushels for 2010/11 ending stocks. Crude oil was stronger, and weather concerns in Europe are also giving rise to prices. July CBOT wheat closed at USD5.34, up 18 1/4 cents; July KCBT wheat closed at USD5.54, up 16 3/4 cents; July MGEX wheat closed at USD5.63 1/4, up 12 3/4 cents. Wheat production forecasts for Friday's USDA report average 2.163 billion bushels for all wheat, 1.496 for all winter wheat, 0.566 for other spring wheat and 0.100 for durum wheat. Export sales will also be out tomorrow, delayed one day because of the holiday. After a pretty see-saw day November London wheat closed GBP0.25 higher at GBP118.85/tonne, and November Paris wheat up EUR1.75 at EUR162.50/tonne. Futures were strongly higher early in the session, but gave up most of those gains by the close ahead of tomorrow's crucial USDA report. It is certainly interesting though how EU futures seem to have extricated themselves from the confines of Chicago of late, indeed Chicago seems to be following us rather than the other way round for the first time in ages. EU prices have moved up a lot in a very short period. The thing that surprises me the most is that most, if not all, of the reasons that the market has appreciated so swiftly were known many weeks ago. Some reports suggest that speculative money is behind much of the recent gains, just as it was responsible for feed wheat rallying to GBP200/tonne back in 2008. Is this only the start of the beginning? Personally I doubt it, but what do I know? 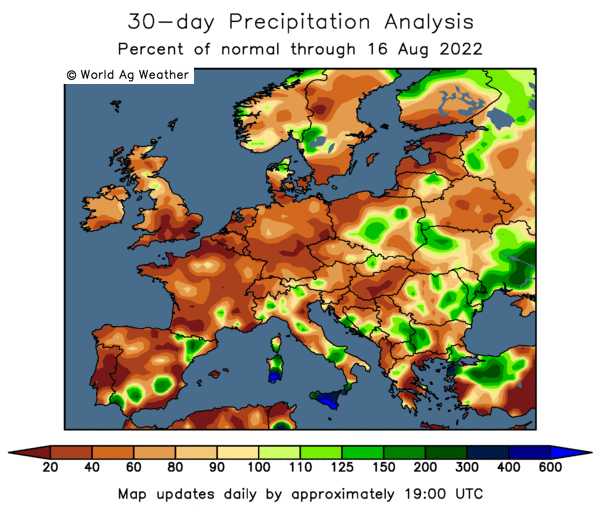 It's certainly been a funny old year, with droughts and heatwaves in western Europe and Russia/Kazakhstan, it seems that all the rain intended for those areas has been falling in eastern Europe. 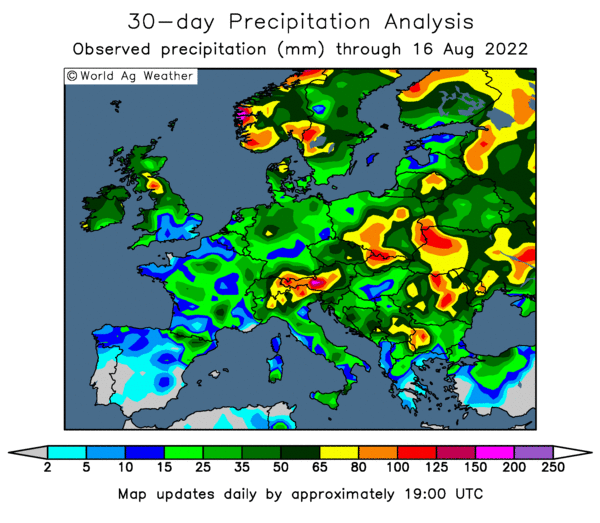 In Bulgaria heavy rain, strong winds and hail mean that a wheat harvest of 3.5-3.6 MMT "will be very hard to achieve" says the chairman of Bulgaria's National Association of Grain Producers. The last estimate from the Bulgarian Ag Ministry had wheat production similar to last season's crop at around 4.0 MMT. Barley production was estimated at 900,000 MT by the Ministry then, although the National Association of Grain Producers now note that "the situation is worse for barley". In Romania too, heavy rains have stalled the early harvest, causing widespread flooding and reducing production. The Ministry here cut it's wheat production estimate by 700,000 MT to 6 MMT today. It's a similar situation in Hungary, where the Ag Ministry now estimate wheat production at around 4.1-4.2 MMT, down from 4.3 MMT last season and earlier hopes for a crop of 4.5 MMT plus. The overnight session closed mostly a bit firmer as traders square things off ahead of tomorrow's USDA reports. Beans finished 1-3c higher, with corn up a cent or so and wheat a cent either side. The dollar is flat and crude oil a bit steadier. The American Petroleum Institute yesterday indicated that US crude oil inventories fell by a hefty 7.3 million barrels last week, due to weather disruptions in the Gulf. The Energy Dept are out with their assessment of stocks at the opening of CBOT, we could see crude move higher should they concur with the API. Although a relatively quiet session would be the norm ahead of the USDA report, the somewhat shocking underlying strength displayed by the European market in the past ten days or so should lend some support. Despite all the talk of port congestion in China, they were back again today with the USDA reporting another sale of 116,000 MT of old crop soybeans. That is going to keep the front-end supply side nice and tight, with the USDA already expected to cut 2009/10 ending stocks in tomorrow's numbers. Although there aren't too many problems with the weather in the US, it is too wet in many areas. That might trim yields a little and also delay the harvest, not ideal when old crop stocks are as tight as they are and China keeping knocking at the door. Early calls for this afternoon's CBOT session: Corn called 1 to 2 higher; Soybeans called 2 to 3 higher; Wheat called mixed. Sadly there is no word yet from "Stan" our man on the ground (I suspect that there isn't an internet cafe on every street corner in Kazakhstan), so we are going to have to run with official Ministry figures for the time being. Even they paint a pretty bleak picture. First the good news, they say that the country exported 8.3 MMT of grains and flour in the 2009/10 marketing year, an increase of more than a third on the previous season. Now the not so good news, exports in 2010/11 will drop to around 6.5 MMT. Now the really bad news, the ongoing drought is set to cut this year's grain production to 14.5-15.5 MMT, down around 26-31% on last season. The Baltic Dry Index was down again last night, it's now within spitting distance of crashing below 2000 - closing at 2018, for a sizable 109 point fall on the day. I think that makes it 30 not out. The Commonwealth Bank of Australia say that this year's wheat harvest will total 22.2 MMT. I'm not convinced it will be that high given the current drought problems in Western Australia state. Australian Plague Locust Commission director Chris Adriaansen says that good rains in northern Australia during summer had contributed to a "perfect storm" for locusts. Instead of an 80 percent mortality rate in locusts as they moved from the egg stage to adults, favourable conditions this year could mean that "80 percent of those eggs survived," he says. The Ukraine Ag Ministry say that they may need to cut their grain production estimate by 1-1.5 MMT, as heavy rains continue to disrupt harvest activity. CBOT August soybeans finished 27 1/4 cents higher at USD9.67 3/4; December soymeal ended USD9.80 higher at USD272.20; December soyoil settled 100 points higher at 37.60. Last night's USDA crop ratings were a surprise, cutting good/excellent by one percentage point, when most of the trade had been expecting an improvement. The trade anticipates a cut in US ending stocks in Friday's USDA report. July corn ended up 10 3/4 cents at USD3.70 3/4 per bushel; Dec corn ended up 10 cents to USD3.89 1/4. The trade is positioning ahead of Friday's USDA report, but seems to be in no mood to press the downside too much. After the close last night the USDA reported corn as 71% good/excellent, down two points on a week ago. CBOT September wheat ended up 23 cents at USD5.30 1/2, KCBT September wheat was up 24 1/2 cents at USD5.45 1/2; MGE September wheat rose 25 3/4 cents to USD5.61. US spring wheat ratings good/excellent fell one point from last week to 83%, but are still amongst the best since 1990, according to the USDA last night. November London wheat closed GBP1.15 higher at GBP118.60/tonne and November Paris wheat up EUR3.50 at EUR160.75/tonne. Both London and Paris futures recovered well from a lower opening earlier in the day. It's been an impressive rally that we've seen this past week or so, probably the most impressive since the unforgettable days of early 2008. But we should all remember the tears that that one ended in. Egypt bought only one cargo of Russian wheat in today's tender, paying USD18.50 more for it than in their previous tender little more than a week ago. This wheat was also more than USD18/tonne cheaper than the lowest French wheat tender. That kind of proves one thing to me. Black Sea grain will continue to be offered at levels that knock EU wheat "into a cocked hat" until they run out of stuff to sell. That probably isn't going to happen now until early 2011. There isn't much fresh news on yields out of France or Germany this past few days. A very small number of fields have reportedly been cut in the UK, and yields from those are surprisingly good. Did You Think I Said Cancel That Sukhovei? You must have misheard. 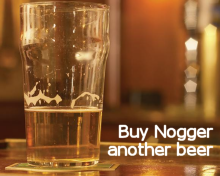 What I actually said was "no thanks pal, I've had three already". Tuesday afternoon, experts warn that a deadly wind known as a sukhovei could hit Russian crops this week. Market shoots up. Wednesday morning, other experts say, phew, there's some cold air forming over Siberia, the sukhovei calledoffi. Market eases back. Wednesday afternoon, Sukhoveibackoni other different experts to that last lot we got in, they were rubbish, now tell us that Russia has already had three sukhovei's last month. Market shoots up again. Thursday morning, Sukhovei: I'm Having A Baby By Every Member Of The England Squad (except the gay ones). Thursday afternoon, Sukhovei: Baby False Alarm Sensation (they're all gay). Friday morning, Sukhovei: My Waters Broke In The Middle Of Harvey Nicks. Friday afternoon, Sukhovei: Mistake - That Wasn't My Waters. Russian farmers have got off to a flyer this year, harvesting 5.4 MMT of grain already, according to the Ag Ministry. That's a million tonnes more than at the same time last year, as farmers began the harvest early because of the ongoing drought. There's another 80 million tonnes to go yet, if you believe what the Ministry say. I don't though, I reckon they'll be all done by tonight! Nah, not really, but if they do manage to cobble 85 MMT together out of that lot then I'm a World Cup finalist (a Dutchman, geddit). Still, it's not a problem, as there's 24 MMT old crop stocks left in store, if you also believe what the Ministry say. Unfortunately I don't believe that either! Although I fully expect the Russians to be aggressive exporters early in the season, we could see things slacken off considerably once we get into the new year, much in the same way that Ukraine faded off the radar early in 2010. The overnight grains closed with beans up around 6-7c, corn 1-2c higher and wheat mostly a cent or so higher. Crude oil is dragging itself slowly higher too. It's likely to be all about book squaring ahead of Friday's USDA report, now that European and Russian/CIS crop losses seem to have been factored into (some would say more than factored into) current levels. Corn and soybean ending stocks are expected to fall and wheat stocks rise in Friday's report. US weather conditions look conducive towards another record, or near record, corn and soybean crop this year. Wheat, corn and soybean crop ratings all fell slightly in last night's crop conditions report. Egypt bought only one cargo of Russian wheat in today's tender, paying USD18.50 more for it than their previous tender little more than a week ago. Early calls for this afternoon's CBOT session: Corn called 1 to 3 higher; Soybeans called 4 to 6 higher; Wheat called flat to 2 higher. Like 'em or loathe 'em, and I think you know which camp I fall into by now, not that I make a habit of falling into camp things you understand, the entire global grain trade will be gathered round in a hushed and revered silence for the latest inane musings of the USDA on Friday. Just 24 hours after whipping us all up into a frenzy, the same people that told us yesterday that there was a sukhovei coming, today say that it's missed it's bus and might not make it after all. I bet the nice people at Google were wondering what was going on yesterday, all of a sudden popular searches like "Michelle Obama's jugs" or "Steven Gerrard, knobjockey" were being replaced by some Russian word that nobody had ever heard of. It seems that cooler air forming over Siberia is about to spoil all the fun and stop the "naturally occurring weather phenomena" from erm, well, naturally occurring like. I've never been so disappointed since my first marriage. I should have suspected something was wrong when she wanted the theme tune from Ski Sunday to be played as her wedding march. It was indeed all downhill after that. Anyroad this sukhovei thingy, I can even spell it correctly without looking it up all ready, is off - at least for now. From what I am hearing it may have been too late to cause much damage anyway, as it seems that plenty of that has already been done. The Russian Institute for Agricultural Market Studies, or IKAR, have dropped their wheat production estimate to 55 MMT, from 57 MMT last week and 61.8 MMT in 2009. That's a reduction of 11% on last year. Barley output will fall even more, by 19% to 14.5 MMT, they say. Both of those may prove to be still optimistic on the back of what is being described as Russia's "worst drought in a decade". Of course we heard all this last year too, as you may recall. Then it seemed to be a case of trying to con aid money out of central government. When it was made clear that times were hard and there was no money in the kitty, things suddenly and dramatically improved at the eleventh hour. A bit like England's World Cup campaign, but without the improvement bit. Will that also be the case this time round? Somehow I doubt it, I think that this could be more of a "cry wolf" scenario judging on the reports I am hearing. Maybe that is why the market seems to have taken so long to react to the news? Nobody believed it was that bad the first time round, as "they always say this every year"? The bus that the sukhovei has missed must also have been picking "Stan" up from the airport as he still remains incommunicado. 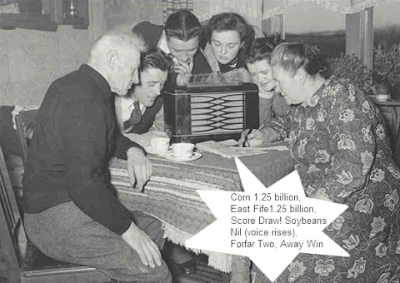 Egypt's GASC are back in the market today tendering for 120,000 MT of wheat if anyone can be bothered to put a bid in. Why not tell them to bugger off, what harm could it do? Tunisia are also looking for 25,000 MT of barley, do we like them? Yes, OK, so let's give the nice Tunisians a price and just not bother calling Nomani Nomani back then. Parched wheat in Western Australia is sweating (literally) on rain forecast for Thursday/Friday showing up to provide some much-needed moisture. The Baltic Dry Index, guess what that did last night, shall I give you a clue? I'm going to communicate it to you via telepathy..........It worked! That's right it was down again, closing at 2127 for a nifty little 89 point or 4% drop. I'm starting to lose count now on the number of consecutive days declines, but I think that might be 29. The French Ministry yesterday pegged the 2010 soft wheat crop at 35.3 MMT, most pundits think that they are a bit over optimistic at that, just like the French were at Waterloo for example. They also pegged this season's rapeseed crop at 4.5 MMT, down 19% on last season. Private reports coming out of Russia suggest that the Ministry's recently revised grain production estimate of 85 MMT (down 12%) still doesn't accurately reflect just how bad things really are this year. Some are suggesting output lower than domestic consumption, which is 77 MMT. With 24 MMT left over from last season that shouldn't be a huge problem, but may curtail their export ambitions somewhat for 2010/11. US spring wheat ratings good/excellent fell one point from last week to 83%, but are still amongst the best since 1990, according to the USDA last night. The crop is slightly behind normal development at 52% headed, compared to 57% normally. Winter wheat harvesting is past hallway done at 54%, which is in line with normal. Harvesting in the top producing state of Kansas is now 84% complete. Good/excellent winter wheat fell one point to 63%. Overall the US wheat crop is clearly looking in great shape. Last Friday, Informa pegged the all wheat yield at a record 45.9 bu/acre, fully two bushels ahead of the USDA. They also had 2010 US wheat production at 2.217 billion bushels, which is 150 million higher than the USDA, and now slightly ahead of last year despite the sharp acreage drop. That sets the stage for the USDA to raise their US production estimates on Friday. They should also increase their ending stocks based on last week's numbers showing wheat stocks as of June 1 at 973 million bushels, which was 33 million bushel above the average trade estimate. So, from a US wheat perspective, Friday's USDA report should be bearish. Although balancing the books is a pretty popular pastime in Washington, so don't go getting too surprised if they don't raise their domestic usage estimates also to compensate for last week's surprisingly low corn supplies. That might absorb some, if not most, of this extra US production. The sixty million dollar question now seems to be what will they say for production elsewhere? In particular Russia, Kazakhstan, Europe, Canada and China. Certainly all but the last of those could see production estimates revised lower. Last month's numbers were 57.5 MMT, 17 MMT, 143 MMT, 24.5 MMT and 112 MMT respectively, you could easily make a case out for cutting at least 10 MMT off that little lot, but the USDA are famously slow at reacting to rapidly changing crop production prospects. It may well be that the Russian crop is only 50 MMT this year, but if it is the chances of the USDA reporting it at that on Friday are remote. So even before the numbers are out, I'm already doubting their credibility, yet the market will react to the USDA's perception of things just like it always does. We might as well place bets on a couple of raindrops sliding down the window pane. Given the magnitude of the recent rises in European prices over the past week, booking a few profits ahead of Friday might be a good idea. August CBOT soybeans finished 4 cents lower at USD9.40 1/2, and November soybeans 5 3/4 cents lower at USD9.00; December soymeal ended USD1.90 lower at USD262.40; December soyoil settled 18 points lower at 36.69. China bought 120,000 MT of US soybeans and another 40,000 MT of US soyoil overnight, according to the USDA. After the close the USDA reported soybeans as 79% good/excellent, down one point on a week ago. They said that 23% of the crop is blooming compared to 20% normally. July corn ended down 4 cents at USD4.60 per bushel, and Dec corn closed down 5 1/4 cents at USD3.79 1/4. After the close the USDA reported corns as 71% good/excellent, down two points on a week ago. They said that 19% of the crop was silking compared to 12% normally. Export inspections for the week ending July 1st came in at the low end of expectations. Argentina's Ag Ministry say that the corn harvest hit 91% done, 2% ahead of last week. CBOT Sept wheat ended up 4 1/2 cents at USD5.07 1/2; KCBT Sept wheat closed up 5 cents at USD5.21; MGE Sept wheat increased 4 3/4 cents to USD5.35 3/4. Short-covering was a feature today, although prices finished well of earlier session highs. The USDA reported that winter wheat is rated 11% poor/very poor, 26% fair, and 63% good/excellent. Good/excellent was down one point from last week. Harvesting is running at slightly above average at 54% done. Spring wheat is 52% headed versus 28% a year ago, and 57% on average. It was another strong day for EU grains, with November London wheat closing GBP2.45 higher at GBP117.45/tonne and November Paris wheat ending EUR3 higher at EUR157.25/tonne. November Paris corn closed EUR1.50 higher, with November Paris rapeseed up EUR4.25 and November Paris barley EUR6.00 higher. As you can see the European markets certainly seem to have the bit between their teeth at the moment, we've suddenly gone from feast to famine. The French farm ministry today said that the nation would produce 35.3 MMT of soft wheat this year, 2.5% down on last season despite a higher acreage. That might be towards the high end of estimates, with early reports on barley yields now coming in 5-15% lower than anticipated, and wheat likely to follow suit. Early French barley yields continue to disappoint, and indications are that wheat and rapeseed yields will also be hit, coming in below last season's levels. Russia is where the real emphasis is however. All of a sudden output here is dropping by 3-5 MMT a week, with Dow Jones today reporting on the possibility of a potentially heavily damaging weather phenomenon know as a "sukhovei" possibly on the cards for the south and west of the Ural Mountains this week. This extremely hot and dry wind can apparently cause widespread crop devastation almost overnight. Meanwhile it remains dry and warm in the SE of England, which may also be potentially lopping something off final yields, although perversely it may also help quality and protein levels. The expression "widespread annihilation" when associated with a Russian crop report. It can't be that bad. Can it? It certainly seems to be putting the wind up one or two people today that's for sure. Flooding continues to cause major crop damage across the province of Saskatchewan, according to Saskatchewan Agriculture's weekly Crop Report. The problem is particularly bad in the northeast where rain on already saturated fields resulted in a range of precipitation of up to 82 mm. Cropland topsoil moisture here continues to increase and is rated as 92 per cent surplus, according to the report. More than half of the winter cereals in the region are showing as being behind in normal development, with more than three quarters of spring cereals and oilseeds likewise. Crops rated as poor/very poor: 26% of winter wheat; 28% of spring wheat; 32% of barley: 35% of canola. The overnight grains closed with wheat leading the way 1-13c higher, beans up 3-4c and corn 5-6c firmer. It's not very often that Chicago follows Europe, it's usually the other way round, but it would seem that is what is happening today as the US returns to work after an extended holiday weekend. US weekend weather and the forecast for the week ahead look non-threatening, crops seem to be generally in pretty good shape, the USDA will report tonight on crop conditions, and should indicate that soybean planting is now just about done. China bought 120,000 MT of US soybeans and another 40,000 MT of US soyoil overnight, according to the USDA. The Argy soybean harvest is just about over at 99% complete, and Celeres raised their estimate of Brazilian soybean production to 68.5 MMT, an 18% increase on last season. The US winter wheat harvest is progressing well, again the USDA will report on that tonight. China got some rain in the dry northeast, and the Chinese government's weekly corn auctions are attracting less interest than they were, with less than half of the 1.5 MMT offered being taken up this week. Europe and Russian weather and potential crop losses are what the market has suddenly woken up to, even though nothing especially new has really come out this past few days. Early harvesting results from southern France and Germany merely seem to confirm what we all expected already, yields would be down this year after the harsh winter, dry spring and recent heatwave. Russia's Ag Ministry dropped their grain production estimate to 85 MMT yesterday, but again all that did really was get them into line with earlier forecasts from SovEcon. Early harvest results coming out of Ukraine, if anything, seem better than they might have been. It seems to me that this recent EU price spike has been fed by short-covering, and farmer reluctance to sell on the basis that "they were right all along" and the perception that this is only the start of a concerted move higher, to more realistic levels, that show them the margin they rightly deserve. I don't dispute that they deserve a margin, the market usually does that. The USDA are out on Friday with a supply and demand report that should be bearish on wheat. If global wheat production numbers are falling, how likely is it that the USDA will be up to speed and report the reality of the situation anyway? Exactly. This my friends is a golden selling opportunity. Certainly from an EU wheat perspective. US wheat, whilst expensive relative to EU grain, is also vulnerable to correction given then size of spec shorts in that too. If we do see US wheat move higher then all that is likely to happen is that the basis will widen further anyway. Early calls on this afternoon's CBOT session: corn called 2 to 5 higher; Soybeans called 2 to 5 higher; Wheat called 5 to 10 higher. An extremely hot, dessicating, dusty, and predominantly easterly wind that affects the steppes of southern Russia, particularly in the region south and west of the Ural Mountains. It occurs most frequently in spring and summer and may cause extensive crop damage. There's a breaking news story that one might be on the cards this week. That could be interesting. Not that it will make that much difference looking at this very sorry looking crop of wheat from a few days ago posted by my chum out in Ukraine Mike Lee on his blog: here. I think there might be an a in crop. Joachim Ruhmann of DLR reports that early harvesting results from southern France remain disappointing. Barley yields are coming in 5-15% below last year with specific weights "not outstanding" - in the region of 62-64kg/hl, he says. Early data from the harvesting south of Chartres and the Loire have been hit by the cold winter and the heat of the past few weeks, says Joachim. After interruptions to the harvest caused by weekend rains and thunderstorms, farmers' activity has resumed with harvesting already estimated at around a third complete in the southwest of the country, he adds. Indications are that wheat and rapeseed yields will also be hit, coming in below last season's levels, he concludes. Meanwhile in Germany early harvesting results are more promising, says Joachim. Winter barley yields and specific weights are quite varied, with averages of around 65kg/hl. The colour of this season's barley is a surprise, says Joachim, describing it as "very bright, almost white". Yields are also fluctuating quite widely, but overall will probably average lower than last season, he says. Some of the forward parts of the Rhineland could see the barley harvest be almost completed by the end of the week, whereas in Munsterland to the west the crop is around 10 days behind normal development, despite the recent hot weather, says Joachim. New crop barley prices ex farm Rhineland yesterday were around EUR105-109/tonne ex farm, he adds. The Baltic Dry Index continues to decline, closing at 2216 last night, down 64 points, or 2.8%. That brings the total number of days of consecutive declines now to 28, marking a near 2000 point decline since a 6th May high of 4209. This is the longest unbroken run of declines since 2005. According to Elena Skrynnik, the Russian Minister of Agriculture, despite a drought hit harvest likely in 2010 carry-over grain stocks of 24 MMT mean that they can still expect to export 20 MMT of grains in 2010/11. Ukraine had harvested 1.77 MMT of grains by July 5th, according to the Ag Ministry. Average yields are currently running at 2.46 MT per hectare, versus 2.54 MT per hectare this time last year, they say. Barley accounts for 1.5 MMT of the harvest so far, with the remainder of the grain harvest to date mostly wheat (240,000 MT). The country has also harvested 271,000 MT of rapeseed from an area of 194,000 hectares at an average yield of 1.4 MT per hectare, they add. Robert Wiseman Dairies is the latest in a line of buyers to increase their milk price with effect from July 1st. The 0.4 pence per litre increase takes the company's UK farmgate price to 24.72ppl. According to South Australia state's Department of Primary Industries and Resources the area given over to winter crop production will fall across the board in the state this season. Overall winter crop production will fall 19% this year to 6.34 MMT, they say. Of that, wheat production in the state will fall 13% to 3.5 MMT, whilst barley output will decline even more sharply - down by almost a third to 1.7 MMT. Canola production will also decline, down 10% to 267,300MT, they say. Drier conditions for the first three weeks of May delayed seeding in many areas, although good falls in late May allowed seeding to resume, with most farmers finished by mid-late June, they add. Growing season rainfall to date (April-June) is near average throughout most districts, they conclude. It's been a while since we've seen a close like this, probably not since early 2008. November London wheat closed GBP4 higher at GBP115/tonne, November Paris wheat was up EUR4 at EUR154.25/tonne. November corn was up EUR6.75 at EUR160/tonne, November rapeseed EUR2 higher at EUR328.75/tonne and January malting barley up EUR6.50 at EUR179/tonne. Sellers largely seem to have run for the hills as talk of significant yield losses brought on by the recent hot and dry spell abound. 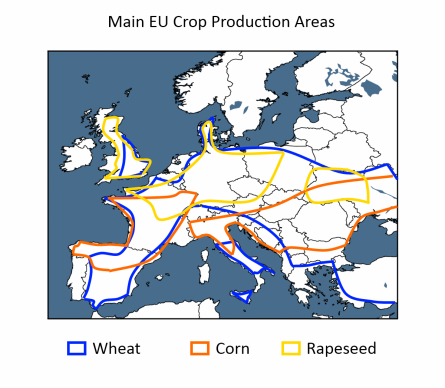 A combination of a hard winter, a dry spring and now surging temperatures possibly accelerating EU cereals towards a rapid and early maturity suddenly seems to have everyone talking about lower production. The Russian Ag Ministry today dropped their 2010 grain production estimate to 85 MMT, fully 15 MMT lower than they were expecting not too many months ago, and more than 12% down on last year and over 20% down on 2008. Add that to the problems being experienced by Canadian growers, the reduced US acreage, and lower wheat output now expected from Ukraine and Kazakhstan and suddenly most of the major exporting nations are now looking at significantly lower output in 2010. Only Australia and Argentina look likely to see production growth this year, and their crops have only just been or are still being planted. Before you start ordering the new farm equipment and flicking through holiday brochures to the Maldives it is worth remembering that we do still have significant carryover stocks from 2009/10, not to mention some pretty hefty barley intervention stocks in the EU. We also have new crop stocks now starting to filter through from Russia, the FSU and southern/eastern Europe as well as new crop US winter wheat coming onto the market. It would be a shame to get too carried away and miss an opportunity here, it could be prudent to get some sales on at these levels, especially to cover cashflow requirements this side of Christmas. If an opportunity is likely to present itself to make further sales at significantly better money than this then they may not present themselves again until the new year. Just days after announcing the launch of their innovative new free mobile app www.grainapp.com, Dalmark Grain have gone even further by bringing out a big brother for it in the shape of a new "portal" website www.grainportal.com. The idea behind the new site is that it will provide futures prices, charts, news, currency rates, market reports etc via a series of "windows" all one one webpage. These separate windows can be opened and closed as required giving the viewer the ability to customise what information he wishes to view at any one time, avoiding too much clutter, they say. As with the mobile site, it's also FREE to all, and doesn't even require any registration. On top of that, to promote the launch of the two they're giving away an iPhone 3GS to one lucky visitor. Proof I think, if it were needed, that they really must be mad. If you're looking to buy any grain at the moment then it might be worth giving them a call, as they're clearly so bonkers that they might not have noticed that the market's shot up this past few days and they might be giving that away too! A report on Reuters today says that Chinese urban dwellers will outnumber those living in rural communities for the first time ever by as soon as 2015. The growth in the urban population means that more Chinese are turning from being net producers to net consumers of grains. By 2020 Chinese grain demand will be close to 575 MMT, more than 40 MMT above the current level of production, according to the report. That also assumes of course that we believe the government's production numbers. The pursuit of the government's so-called "safe meat" policy could accelerate this growth in grain consumption further, as the feeding of proper manufactured feed becomes more widespread. There's no overnight market this morning and there won't be any trade in Chicago tonight due to the US Independence Day holiday. So it looks like a quiet day is in store. Whether we have a quiet week is entirely another matter with the USDA out on Friday with their July crop production and ending stocks estimates. Taking last week's surprises into account they should cut old and new crop corn ending stocks sharply, but wheat stocks should rise. This is the USDA we are talking about here of course, it's entirely possible that they might raise projected 2010 corn yields sufficiently high to completely erase last week's projected acreage reduction. The Indian weather office say that monsoon rains there are 14% down on normal for the June 1st-July 4th period. According to a story on Dow Jones Newswires this morning "light rains lashed India's grainbowl northern region over the weekend". Come again, light rains don't lash anything do they? The Kazakh weather office, Kazhydromet, say that July will start off hot and dry for the first ten days of the month. After that temperatures will dip to 1-2C below normal for the time of year with "normal" rainfall. Algeria will harvest 5-5.5 MMT of grain this year, according to the Ag Ministry, that would be around 10-18% lower that last season. Harvesting there is 21% complete, they added. Farmers in South Australia are optimistic for the coming season after 15-30mm of rain fell in the last few days of June. Mice infestations of "plague proportions" and dormant locust eggs waiting to hatch are keeping them on their toes however. 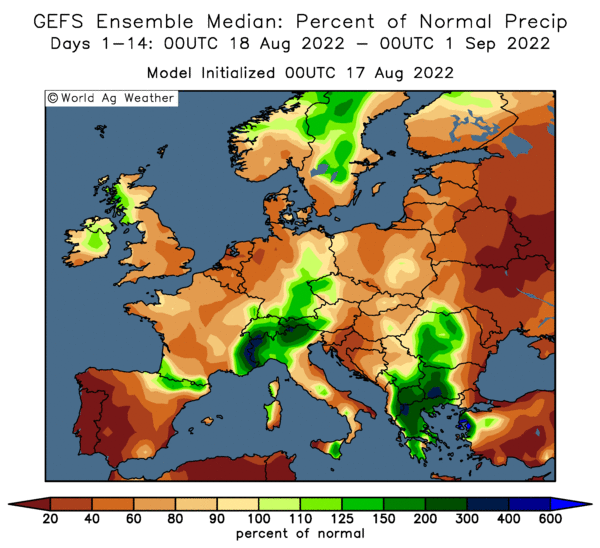 There should be more widespread early harvest reports filtering through from France and southern Germany this week, which will likely decide the fate of EU grain prices for the week ahead. There are concerns that the recent hot and dry spell will have accelerated maturity at the expense of yield. Rain in the north and west of the UK over the last few days will have helped crops there, but not much seems to have fallen in the major growing areas to the south and east, and there isn't much in the forecast for those areas for the week ahead either. Carat winter barley was apparently harvested on Saturday near Marksbury, near Bath at 14% moisture and yielding 8.6 MT/ha, according to Farming Online today.